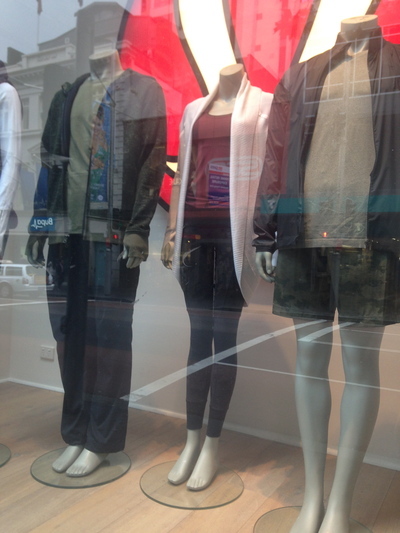 Lululemon (also known as lululemon athletica) is one down to earth, hearty and generous fitness clothing company. Free yoga classes too. Bonus. It is great to know that anyone - irrespective of age, gender and background can exercise, get sweaty and workout in style. 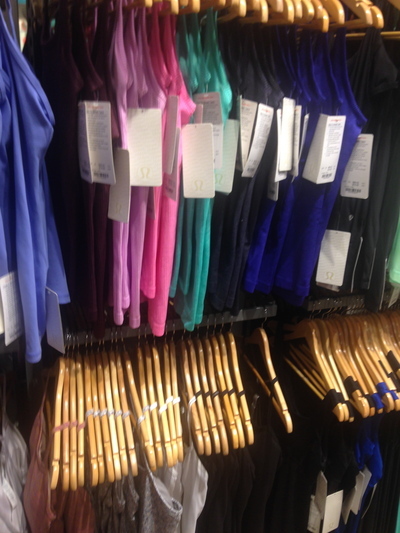 It is a given, and the quality and service is rather consistent at any Lululemon clothing outlet. The clothing size system is North American. For example, if you're a size 12 in the Australian clothing system, you will be a size 8 in the North American system. In addition to selling some stylish clothes, Lululemon also sell headbands, yoga mats and water bottles to name. 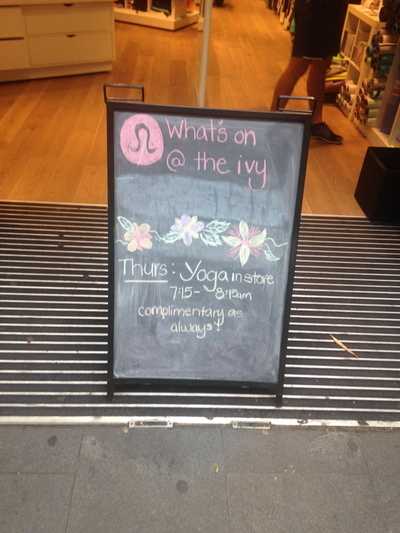 Additionally, they also run free yoga classes. Even if you turn up to one of these free classes in clothing other than lululemon athletica; sooner or later you'll be hooked. You're working out around it all. Their sleeveless tank tops are divine. The purple striped one (as per the first image) is the best $59 I have ever invested in fitness clothing. It's comfortable and fashionable. The embedded bra is super supportive. Could not have asked for a better sports bra either. Regardless of the weather when working out either indoors or outdoors, their tank tops keep you warm. Their bike pants are also divine. I am also looking forward to investing in a reversible long sleeve exercise top, where two different colours and styles are (reversed) in the one top. Even better, if you need alterations to your Luluemon clothing, just visit any lululemon athletica store and their tailoring service is free of charge to their customers. This is a lifetime guarantee too, and the service takes six working days. Fantastic for any exercise, from yoga to power walking and running for long distances. The staff are ever so friendly, and their philosophy extends beyond awesome, stylish, comfortable and fantastic clothing. Personal development and spirituality is also at the top of this brands agenda. Be surprised to be inundated with positive quotes in their stores, as well as on their funky black totes that come with every clothing purchase. How refreshingly good fitness and exercise has become. Who would have thought that being spotted in workout gear would ever become so fashionable. Amen to that.